I feel like a bit of a hack writing this because, surprisingly, considering my music tastes, I am not what you’d call a dedicated or avid fan of the band Bright Eyes. 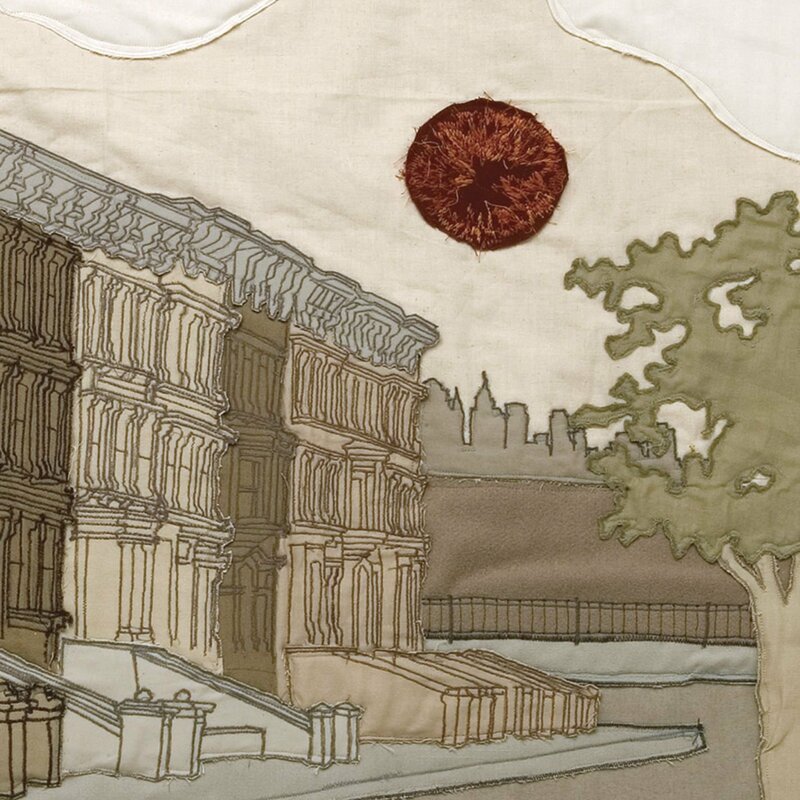 However, fear not Conor Oberst enthusiasts, because I can without question vouch for their 2005 album I’m Wide Awake, It’s Morning. Originally started as a songwriting vehicle for singer Conor Oberst, the band has seen many changes over the years as a number of musicians joined the band in a rotating lineup. Touting a sound that ranges from indie rock to folk, straight pop to low-fi electronica, the band has always carried a consistent passionate sound with acrobatic lyrics, and none more so than the 2005 release. Released by Saddle Creek Records and running at 45:41, the album successfully manages to showcase a variety of their sounds from upbeat and raucous to slowed down and yearning. Two of their singles, “Lua” and “First Day of My Life,” managed to chart on the Billboard Hot Singles Sales, proving that every so often the best songs on any album can also end up as their singles. “First Day of My Life” got the music video treatment and was directed by John Cameron Mitchell. To put it bluntly, this is easily the best album Oberst has ever done by many miles. It manages to encapsulate his social commentary driven lyrics, and it allows his voice and its shaky timbre a showcase that doesn’t stretch or test its limits but also doesn’t play it safe. It may be his least musically progressive album, but it’s the one that so wonderfully hits his musical sweet spot. The album tells a succinct story, opening with a monologue recited by Oberst and ending in an explosion of ecstasy in “Road to Joy.” Before ending on such a hopeful note the album manages to run the gamut of emotional vulnerability, including “First Day of My Life” and the touches of tender, sweet young love. “At the Bottom of Everything” is a self-righteous call to arms that flows effortlessly from the passage of a woman falling into the ocean from a plane into a song about unity and perseverance as well as hinting at Oberst’s subtle sarcasm. “Lua” is poetic. The words weave and flow atop a deceptively simple acoustic guitar part. Lyrics such as “I got a flask inside my pocket, we can share it on the train/And if you promise to stay conscious I will try and do the same/We may die from medication, but we sure killed all the pain/But what was normal in the evening by the morning seems insane” are a depressive meditation on loneliness and dependency on another human being. More than anything this album succeeds because of its heartfelt sincerity and just how personal it feels. A talented singer-songwriter can reach into the depths of their experience and make it both singular and universal. They make an album that no other musician could have constructed, but the finished product is one that anyone could relate to. Oberst and his writing on young love, on loss and loneliness, on political passion or on the joy of finding love again and happiness are all encompassing themes. By the time “Road to Joy” blasts through your speakers and his words “The sun came up with no conclusion/Flowers sleeping in their beds/This city’s cemetery’s humming/I’m wide-awake, it’s morning” hit your ears, bookends to the song, you realize his message of everything isn’t all right now, but it could be, so fight and live while you can and you believe in his speech. It’s a cry for tenacity and love and one that believes that it’s an attainable goal. There were some good Bright Eyes albums before this and some solid and experimental ones after, but few touch the absolute glory and triumph felt in that one song. So if you’re feeling nostalgic or if the long and dreary winter is getting to you, give this album another listen and fight the smile that creeps onto your face and maybe shout along to the lyrics too. It’s an explosion of joy and experience of wonder and one that all music fans should listen to once.